When Zinola Manufacturing owner Kevin Zinola took a chance and offered convicted felon Titan Gilroy an entry-level job in his small Sunnyvale machine shop, he had no idea where the relationship would go. 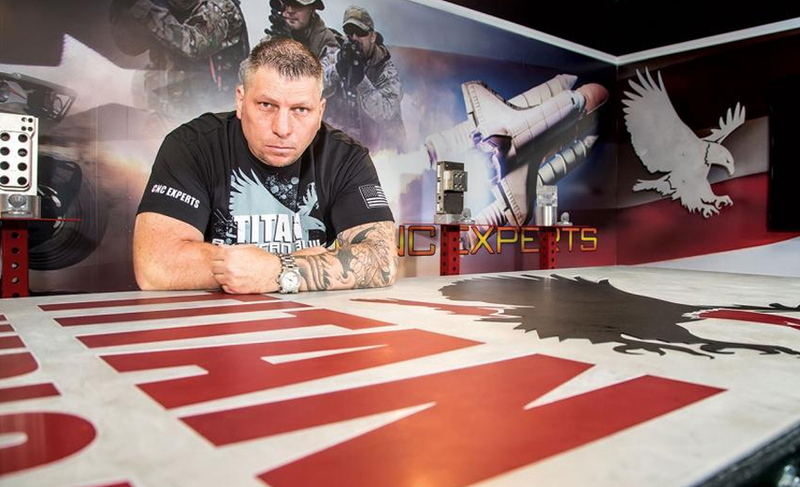 In the years to follow, Gilroy reformed his life, worked his way up through several companies and finally, established Titan America Manufacturing. Today, the Rocklin-based company has 30 employees, boasts several million dollars in annual revenue and has made a devout commitment to source from American companies. Gilroy’s also on a mission to change the way business leaders think about offshore outsourcing. Success did not come easy for Gilroy. Raised by a single mom who fled an abusive husband, Gilroy turned to boxing to defend himself from bullies. 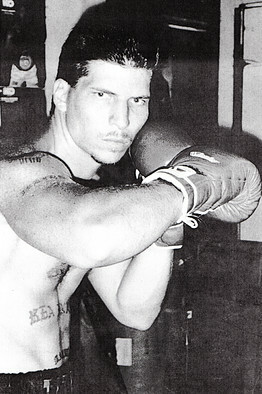 His dedication to the sport led to an amateur boxing career and a checkered police record. He seriously injured two men in a nightclub brawl and served three years in prison. After he was released, Gilroy attempted to return to boxing, but the violent nature of the sport nearly landed him in jail again. He quit for good and moved from Las Vegas to Northern California, looking for a new path — which he found in a job with Zinola Manufacturing running CNC machines. When Gilroy originally launched his company, he worked around the clock, sleeping on a sofa bed at the shop so he could meet deadlines. In his first year of business, he made $1 million in revenue. This year he hopes to make ten times that amount. Gilroy worked overtime to learn the trade and took classes at the National Tooling and Machining Association. Within a year, he was the head programmer and shop foreman. “Mr. Zinola gave me a chance with a $9-an-hour, entry-level job, and I used the opportunity as the first step in a new career,” Gilroy says. 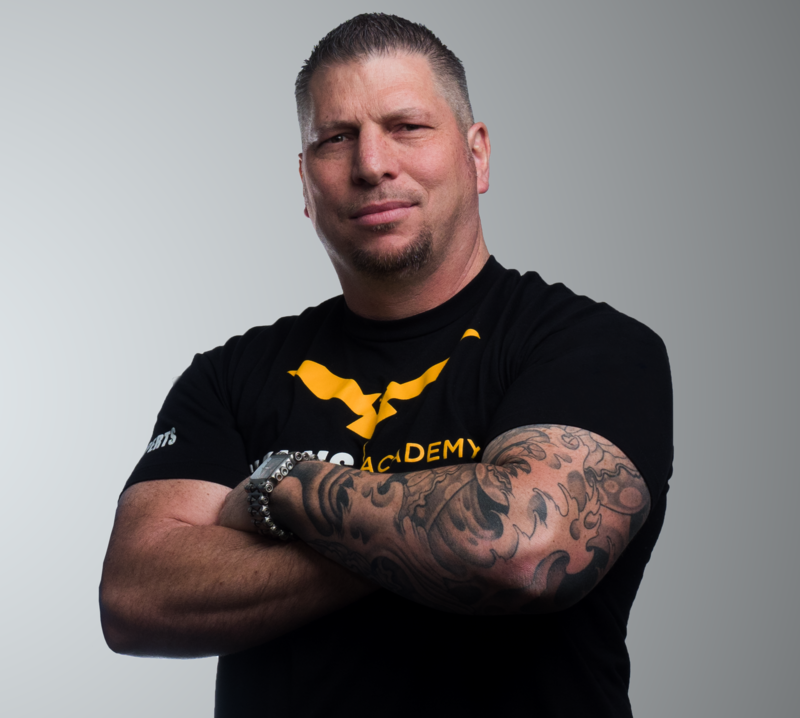 That new career took off when Gilroy founded Titan America Manufacturing in 2005. The company produces a plethora of intricately machined parts from an assortment of extreme alloys and metals, including titanium, carbon fiber and inconel, all purchased from American suppliers. His clients run the gamut from top aerospace companies and the military to the only private rocket company to reach orbit. Because Gilroy works with clients in precise industries such as aerospace and aviation, there is no room for error. Each material he deals with has a certification which breaks down the different properties and processes, and ensures they are fully traceable. “This is a very serious business, and I’ve learned that you can’t cut corners,” he says. “You have to follow the process in manufacturing and then perfect it.” Because of the lack of regulation with foreign suppliers, Gilroy trusts his American suppliers more than international ones. According to the Alliance for American Manufacturing, a nonprofit partnership formed to strengthen American manufacturing, the U.S. is a cost-competitive manufacturing location for 90 to 95 percent of products. Some products, like apparel and footwear, low-cost toys and a number of consumer electronics, are difficult to produce cost-effectively in the U.S. market. But manufacturing, the high-tech sector and energy opportunities are increasingly gaining traction in America. AAM has advised Gilroy and other businesses on what it takes to run an American-sourced business successfully. “Their knowledge-base is extensive, so I tap into that whenever I can,” he says. With more than 45 years of manufacturing experience, Moser is a leading industry spokesman for reshoring and provides the tools and information to implement it. Through Moser’s site, reshorenow.org, businesses have access to a number of resources, including a free online tool that helps companies account for all the relevant factors that impact sourcing decisions. That is the message Gilroy is trying to promote. 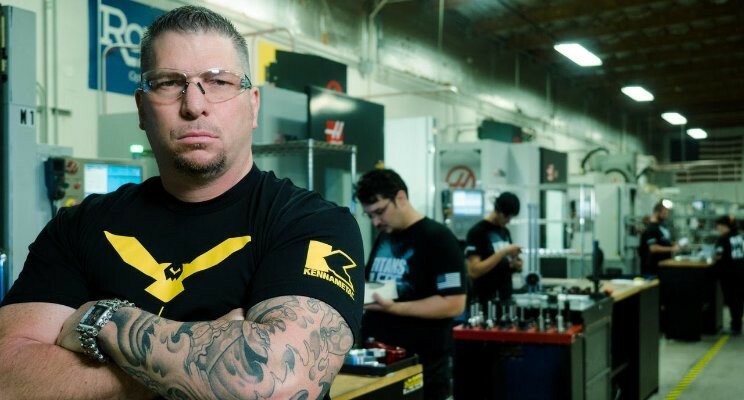 His passion for the viability of American manufacturing has led him to launch his own cable television show, appropriately named “TITAN-American Built.” The show is filmed live on the factory floor, giving viewers a taste of what a working American manufacturing shop looks like. 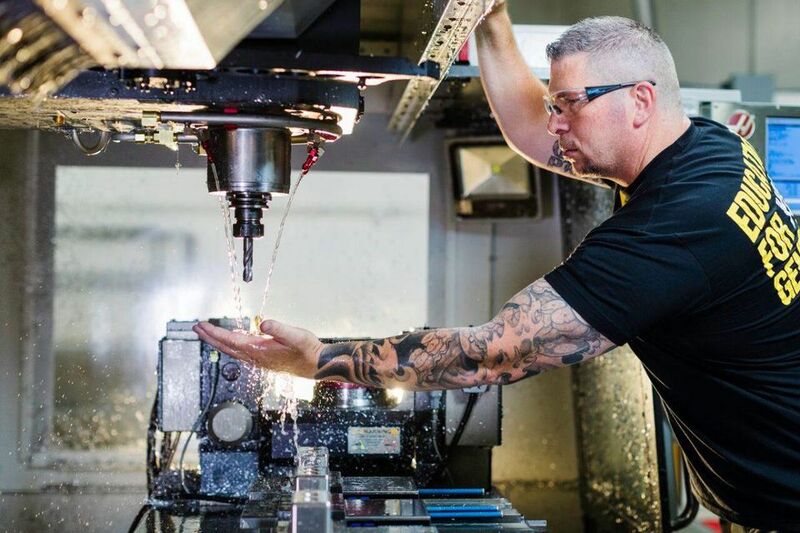 Last season, Gilroy visited Oxnard, Calif.-based Haas Automation: a classic, garage-startup that developed the first-ever fully automatic, programmable collet indexer — a high-accuracy device used to position parts for machining. That was followed by the successful launch of the VF-1 machine, which performs milling, drilling, tapping and boring and costs less than $50,000 — roughly one-third the cost of its Japanese counterpart. Now, Haas machines are sold all over the world, including in China and at Gilroy’s facility in Rocklin. Last year, the company brought in $1.2 billion in revenue. Season two, airing this fall, will highlight Torrance, Calif.-based Edelbrock, a well-known manufacturer of high-performance automotive and motorcycle parts that has been in business since 1938. Gilroy and company are also taking the show on the road with stops in Detroit, Mich., Los Angeles, Calif. and Madison, Wis., where the program will highlight a successful American manufacturing story in each city. The factors that once tipped the scales in favor of offshore outsourcing are slowly being dismantled in support of working with domestic suppliers, and Gilroy is committed to helping business leaders see that. With his burly chest and tattooed arms, Gilroy cuts an imposing figure. But when he speaks, people listen. 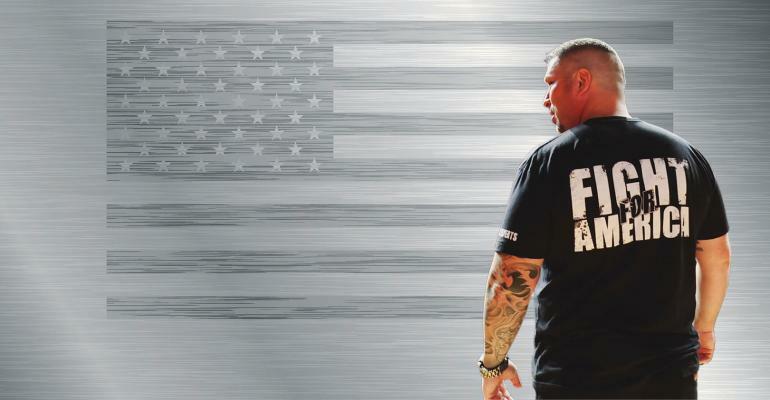 In addition to his reality show, Gilroy is a frequent guest speaker around the country on the topic of overcoming obstacles and launching a successful American business.